Chi Chi London is the place to go to for Cocktail, Prom, Evening and Maxi Dresses. They aim to bring catwalk fashion direct to the high street. 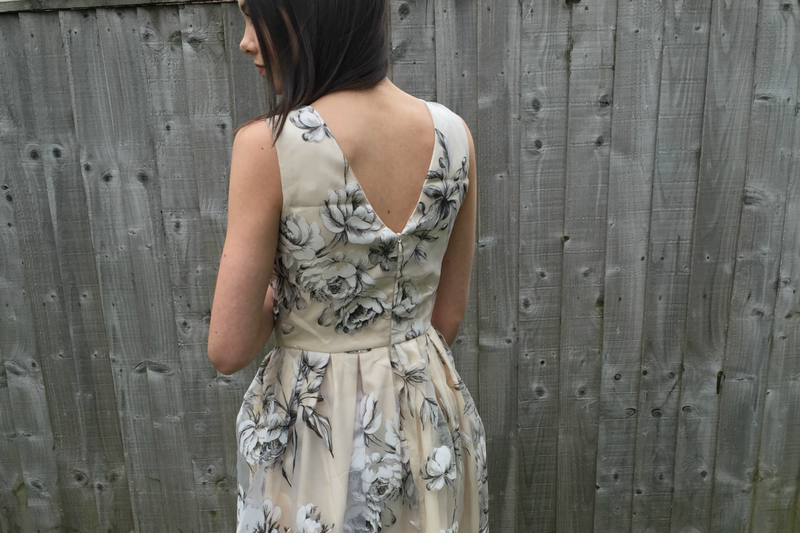 I was kindly gifted this dress which I think is perfect for summer weddings. I am wearing the Chi Chi Sadie Dress in Cream (I love it when clothes are given names) which is £49.99. I absolutely love the Black and White Oranza Print Overlay Design. The Skirt is pleated and there is a small V-shaped back which looks beautiful. 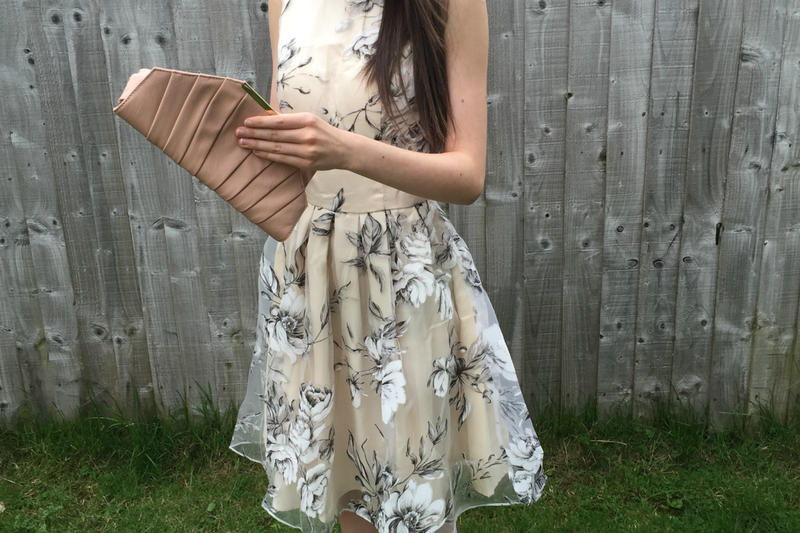 I styled this dress with my mid-heels and clutch from Dorothy Perkins and my Thomas Sabo bracelet. 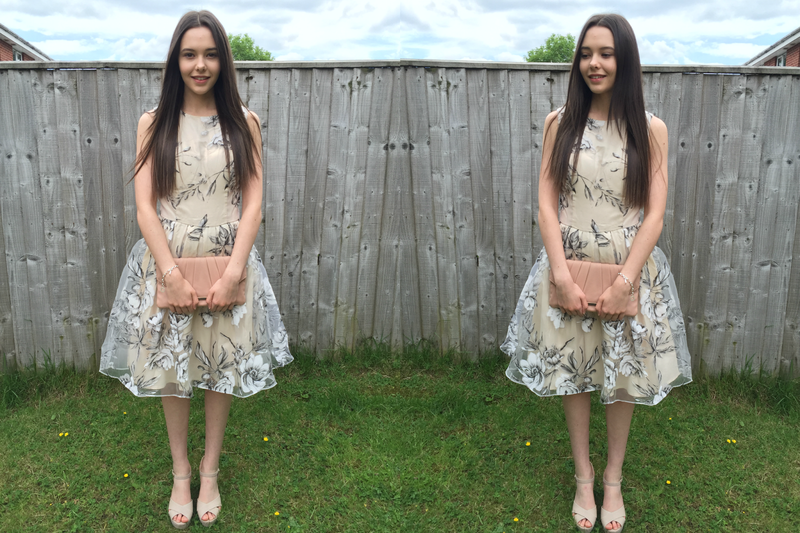 I think this outfit is perfect for a wedding guest, party or prom! This looks like one of the Topshop Kate Moss dresses! (I worked there so it's forever engrained in my mind haha). Love the deep v in the back. It would definitely look good with an up-do or just hair down. Such a cute little dress, looks fab on you! This dress is super cute - if you wanted to tone it down even more for more casual/everyday events it'd probably be cute with a belt and a cute cardi!